Van Oord’s Trailing Suction Hopper Dredger ‘HAM 316’ was deployed off the coast for the £7m Lincolnshire Beach Management Project which got underway on 30 April and is being delivered by Team Van Oord on behalf of the Environment Agency. The HAM 316 was at anchor at around 4.15am on 4 May when a yacht with one person on board came alongside asking for assistance. 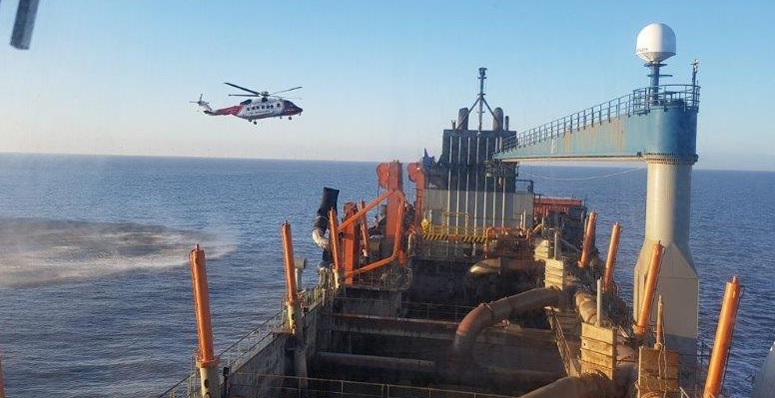 The crew took the sailor – who was clearly distressed and unwell – on board and then called the coastguard who deployed a RNLI Lifeboat stationed at Skegness, and the rescue helicopter based at Humberside Airport. 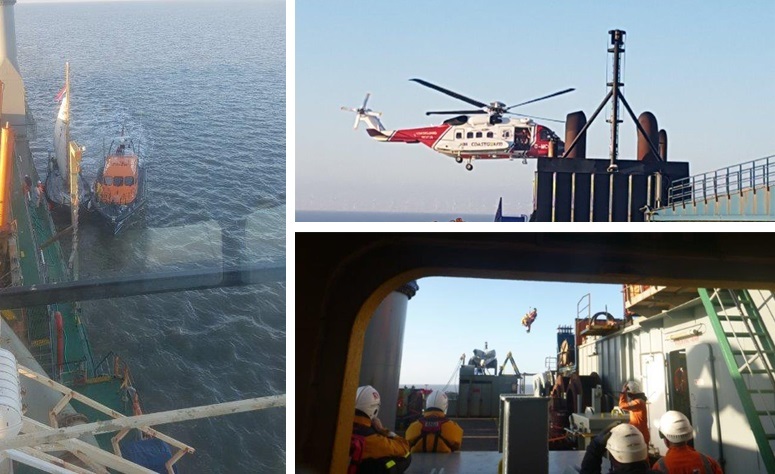 The condition of patient – a 57-year old Dutch man – improved gradually as he calmed down while waiting for the lifeboat and helicopter to arrive. By 7.00am he was winched off by helicopter and taken to the Pilgrim Hospital on the outskirts of Boston. The lifeboat took his yacht alongside and towed it to port. “Members of the project team went immediately to the Pilgrim Hospital in Boston to follow up on the patient’s progress, who was subsequently declared ‘fit’ and discharged from hospital at around 11:00am. The project team then drove the skipper from the hospital to Grimsby to reunite him with his yacht. *The Lincolnshire Beach Management Project involves the raising of beach levels lost naturally to the sea, by dredging sand from the seabed and pumping it onshore.